Blizzard has revealed some new cards from the upcoming Kobolds and Catacombs expansion at BlizzCon, and they’re already looking pretty silly. While more will certainly trickle out over the coming days and weeks leading up to next month’s release, it’s fun to theorycraft how these could be used, even if they really have no practical competitive use. 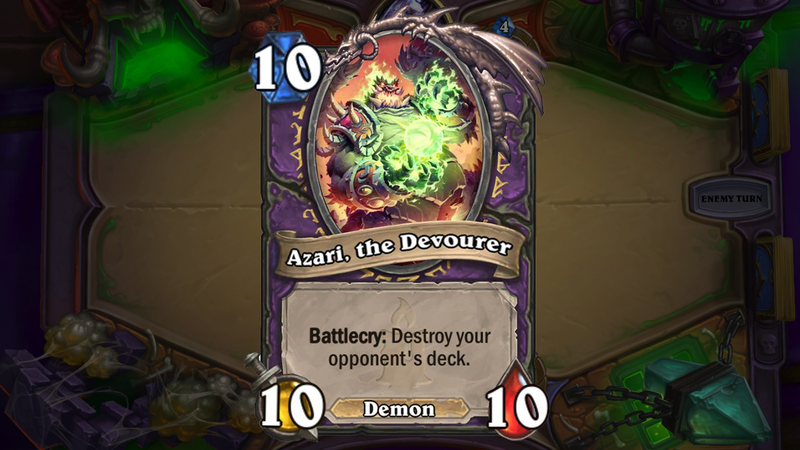 Take “Azari, the Devourer,” Hearthstone’s version of Exodia from Yu-Gi-Oh! After playing a succession of spells, this big fella can destroy your opponents’ deck, leaving them with only the cards in their hand to win. Does it cost an incredible amount of mana to play? Yes, the total mana cost from the combo starter Rin up to Azari is 41 mana, which is not really a reasonable ask. But the one time it works, it’ll be great. 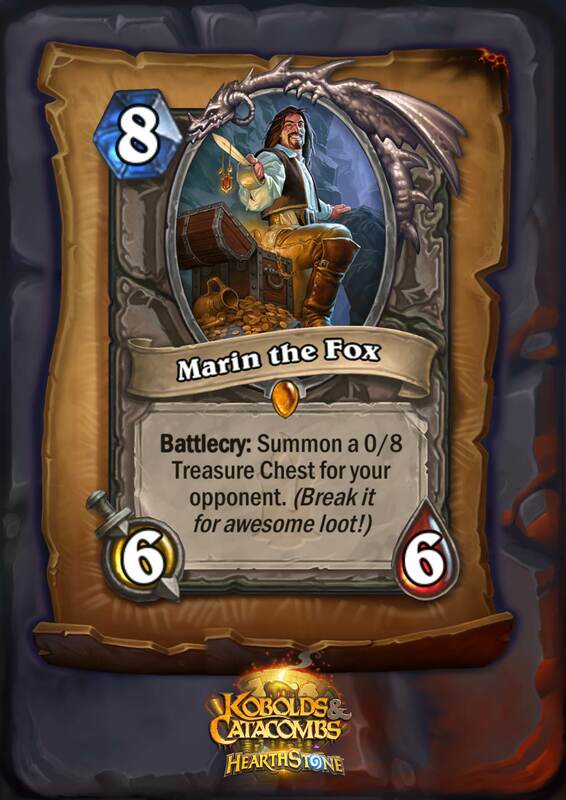 Potential loot from Marin’s treasure box. ‘Recruit’ is the big new mechanic this expansion, which allows you to summon a monster from your deck that fits the card’s parameters. It’s an Alarm-O-Bot for your deck that’s instant, which opens up some unique possibilities, and decks will likely be crafted around pulling certain cards at the right time to exert a huge presence on the board. As for me? Well, I’m into this card, the Carnivorous Cube, which has some interesting Deathrattle possibilities. But really, I’m just wary of buying into a new expansion. With the switch from Adventures to general expansions, Hearthstone has become a much more expensive habit. It feels like staying competitive means either investing money or a portion of your day, every day, to keep your gold revenue strong. I’m a young millennial with poor work-life balance and disposable income, and I still feel like I’m lagging behind. I can’t imagine what it’s like for Hearthstone fans with actual life obligations and responsibilities. So while it’s fun to gawk at how insane these cards are, and what amazing plays might come out of them, it increasingly feels like Hearthstone is becoming a spectator game for me. The one wrinkle is the new Dungeon Run mode, which is free of any booster packs and mixes a game I already enjoy with roguelike elements in a clever way. Maybe that’s the way forward for those who don’t want to, or can’t, drop $100 on every new expansion just to stay relatively competitive.